Got to hang with some great friends recently at Jazz on the Grass in Montgomery, Alabama. 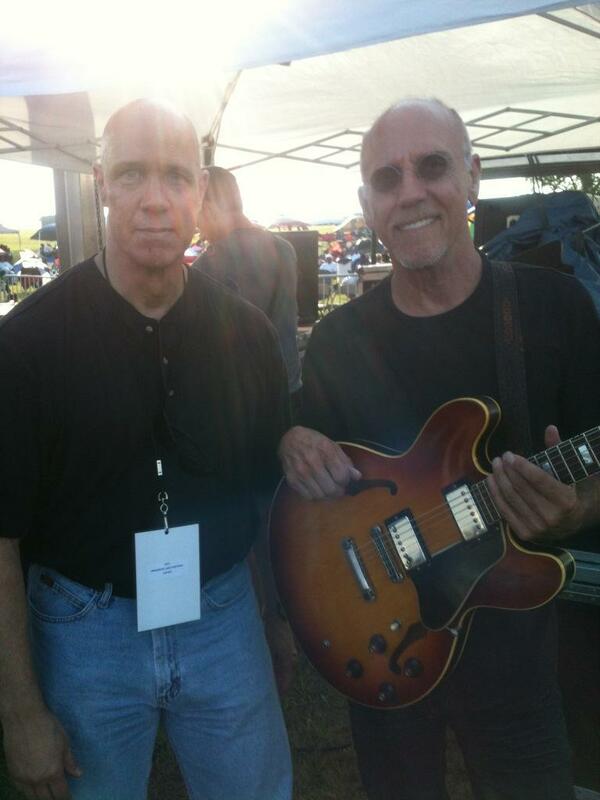 Me and “Mr.335″ — Larry Carlton. 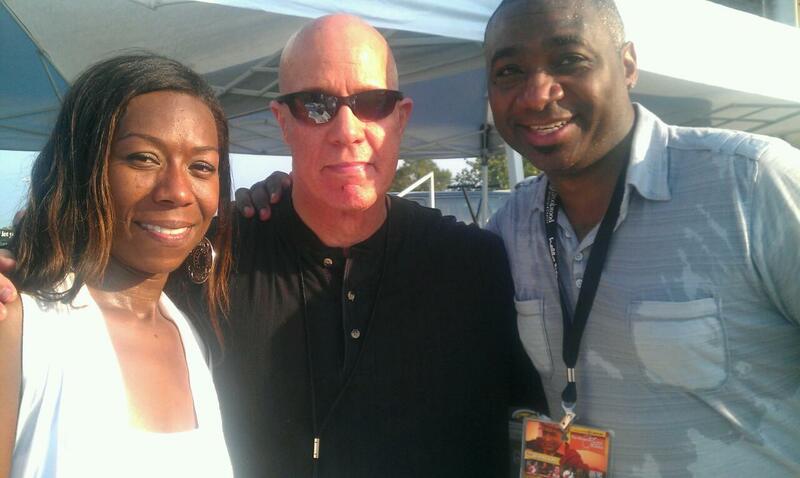 Me with jazz flutist Kim Scott and jazz guitarist Keith “Cashmere” Williams at Jazz on The Grass in Montgomery, AL. Until now you could only listen to samples of my songs before you buy them online through iTunes or CDBaby or something like that. While those services are still there, I want my people to have as many options as possible when hearing my music. I recently got ‘The New Jazz Cafe’ up at BandCamp – seen above in the embedded player. The player permanently installed over on the right has been updated to a BandCamp player, too. What this means is you can listen to any song on the album in entirety for free. Yep. If you like my music, if you want to support jazz, if you want to support independent music, I still encourage you to buy your favorite songs or the whole album. If you buy the whole album, it’s a huge bargain, and you get extras found no where else, including PDFs of artwork and the CD booklet, a music video, and more. I hope you enjoy my music. Please peruse BandCamp additionally as it is full of amazing, courageous music worth exploring; worth enjoying. 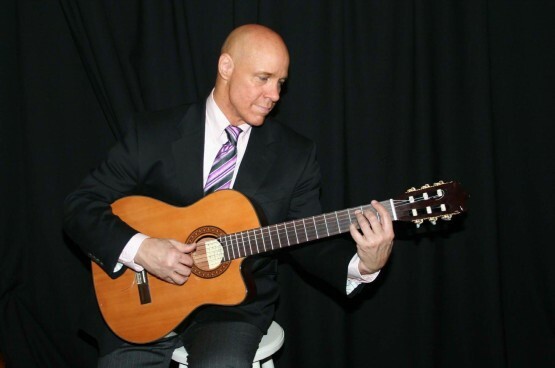 Reggie Stokes is a masterful guitarist active in Birmingham, Alabama. This is the online home of his music and associated projects. Make yourself comfortable. Be sure to visit often to get updates about where Reg is playing, when, and who with. Explore his past and future projects in the discography section and else-where on the site. You can even hear Reggie’s most recent release, ‘The New Jazz Cafe’ over on the right hand side of this page, right now. Here’s a link to the album on iTunes, too, while we’re at it. Reggie is highly collaborative in the Birmingham music scene, and beyond. He works with producer, singer and sax player Rev. Al Lewis, renowned studio Sound of Birmingham, singer Pashion Lewis, producer Jamie Vance, singer Johnnie Nathan, singer Elaine Hudson-Campbell, producer Tim Kennedy and more. Reggie and aforementioned producer Jamie Vance even produced an album with his burgeoning, talented daughter, Rae Stokes. 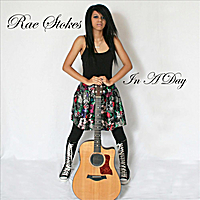 Her first EP is out at CDBaby, iTunes, Amazon, and more. Click here to hear her stuff. So, yeah! 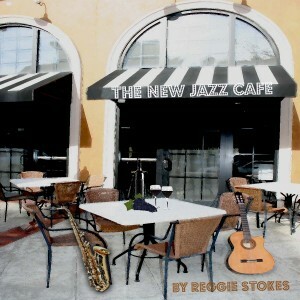 Be on the lookout for what’s new, which will be posted here and on the Reggie Stokes Facebook page. Thank you for visiting, and we hope to see you back often! Option 1: Order the CD from my personal, secure PayPal account which does NOT require signing up for PayPal by clicking on the buy-album button below. If it asks you to log in or anything, just ignore that and select the nearby option to pay with a card without membership. It’s super simple and secure. Option 2: Send a money order in the amount of $12.50 to me at P.O. Box 804 Gardendale, Alabama 35071, including your shipping address and I will gladly mail a copy to you at the address you provide. I appreciate y’all being interested in the project! Contact me with any questions, and as always feel free to hit me up on Facebook if you want. 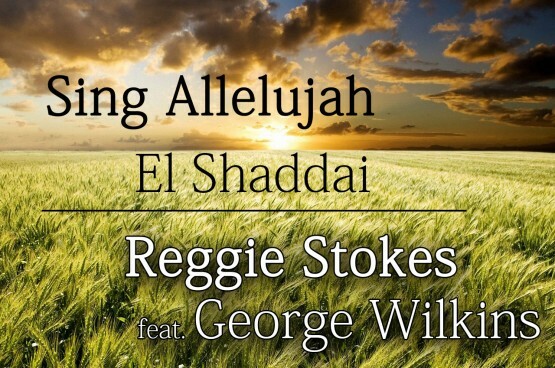 Here’s the new music video for my song, ‘Sing Allelujah / El Shaddai’. It’s a meditative medley from my new album, made all the more evocative by a gorgeous flute performance a la my good friend George Wilkins. I hope you enjoy what I found to be a stunning, yet calming video. Subscribe or comment if you dig it, please! 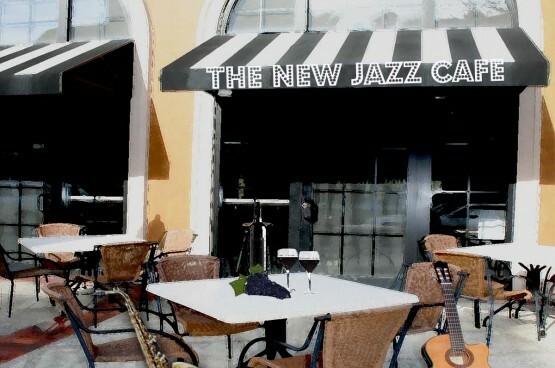 ‘The New Jazz Cafe’ is out now! Finally, my new album is out — for sale online! It’s the culmination of years of hard work, and collaboration with many talented friends and professionals. It’s such a joy for it to be done at last, so I hope all of you check it out in one form or another. You can get the album — or individual songs, of course — from this very website, CD Baby, or you can reach out to me via the contact page and get it from me personally. Soon, it will appear on iTunes, Amazon, Napster, eMusic, and more online retailers for your convenience. Thanks again, so much, to everyone who helped bring this album to life. I hope you enjoy it!